The hotel “Maroseyka 2/15” offers great opportunities for guests and different categories of rooms: Standart, Superior, Deluxe. 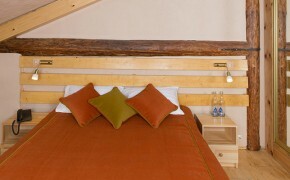 All rooms combine elements of elegance, luxury, style, modern facilities and create conditions for a comfortable stay. 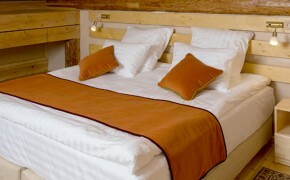 Our elegant “Standard” room provided all necessary modern facilities for a comfortable stay to its guests. 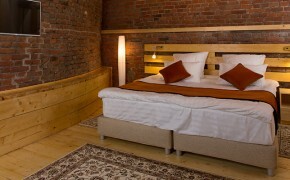 In our cozy room you can relax from the hustle of the big city. This modern laconic “Standard” room provided everything you need for a comfortable stay. It is perfect place to relax from vanity and busy mega polis. Our luxurious, spacious “Deluxe” room provided to plunge into an era of classicism. The rich decoration and panoramic views over the Ilyinsky Gate Square, the Kremlin and St. Basil's Cathedral will take you into the atmosphere of Russia of the 19th century. The total area is 56 m2. For comfortable living and recreation you would expect modern equipment, convenience, comfort, elegance and impeccable style.